Moms like you and me are always on the lookout for stuff that are safe and easy to use. This is not just for ourselves but our loved ones too. When I became a mom, I have developed a habit of checking what the products I plan to buy are made of and of course, once I buy it, I clean up like crazy. To me, quality and safety must always come first. 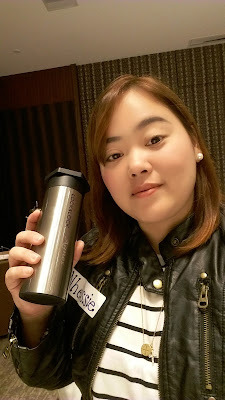 When I work at home, when my niece goes to school, when my son asks for water or when we travel, my family makes sure that we never forget to bring a water tumbler with us. Hydration is also important to us, you know? But really, these days, it's always a choice between what's affordable and safe. There cheap ones in the market but they don't really use ingredients that are healthy for our body. Imagine the wear and tear our bottles go through when we use them every day? Their tumbler collections comes in stylish colors and trendy designs that you will surely fall for! Here are some of my faves! The Lock&Lock Tumbler Collection are so easy on the eyes. Stylish yet safe to use! These pink and purple ones are such eye candies! 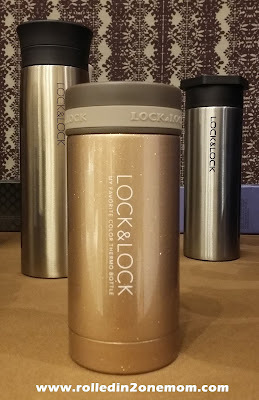 At the media launch of the Lock&Lock tumblers, I was flabbergasted to realize that tumblers are fashionable too! And yes, Lock&Lock has really up the ante when it comes to our daily hydration tools. The colors and style are attractive enough that you would want to carry them around wherever you go! 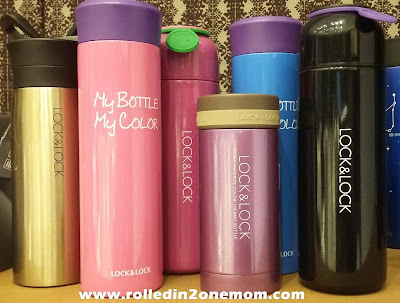 Lock&Lock not only brings us high quality and safe products to you but they also offer personalization of your tumblers. This is ideal for my niece who seems to have a knack for losing her water bottles every single time! 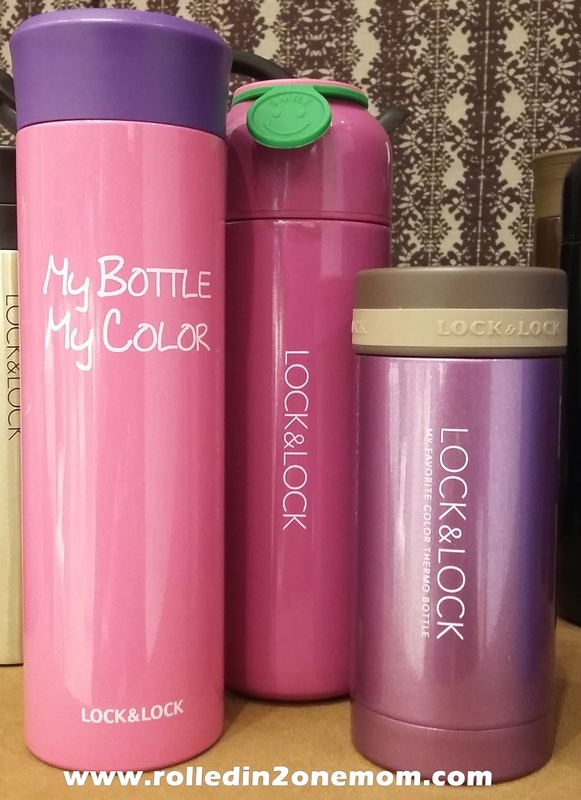 Lock&Lock can help you put a name to your chosen tumbler using their special engraving machine. What an ideal gift for the coming Christmas season, right? with my name on it and I love it! 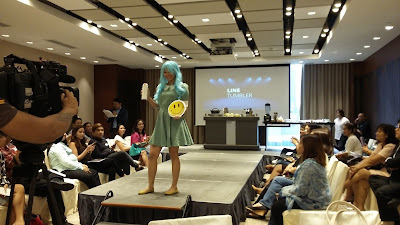 Lock&Lock Tumbler collection are so stylish - they\re runway worthy! Aside from the tumblers, Lock&Lock also introduced their new pan and wok which are safe to use and a leader when it comes to durability. There are classified into three styles: Salon, stone, and hard & light. The bonus is that all of the pans are zero-PFOA which before has been said to cause cancer. Lock&Lock put our health concerns to rest when they created these awesome pans! These pans are guaranteed induction-cook top compatible. 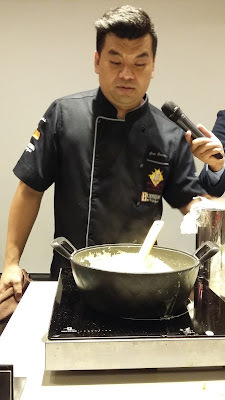 Top chef Gino Gonzales demonstrated how kitchen-safe and convenient to use the Lock&Lock cookwares are. 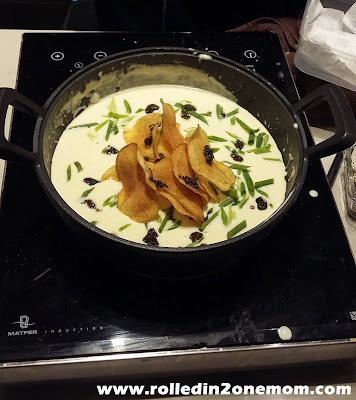 Potato Soup that we were able to enjoy after. Their pans have a sleek design that you can serve your dish directly! From the pan unto the table, just add a few finishing touches. How cool is that? used the pan to serve the dish directly! I have found the perfect products that I will be able to use for a long time. Not only for me but for the whole family. I'm sure, all of us, cooking-obsessed Mommas would know how innovative these new products are! These tumblers are so easy to love. I am definitely going to get more of these Lock&Lock tumblers. What are you waiting for? Go get yours now! Nice, I like the colors of the tumbler. Yes! quality and safety first before buying things. Thank you for sharing this. yes, you just need to go to the nearest store where they sell lock&lock. Such cute and functional design :) I would love to have one for myself - for my family and friends. I have to agree that these tumblers look pretty and sturdy. 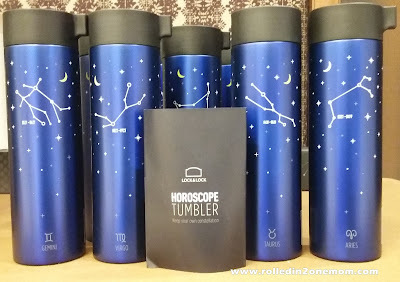 I would love to have a pink tumbler too! Oh, I didn't know Lock&Lock has cookware too! I'll check these out since we need new, durable ones. Those are really cool tumblers. I'd love to have the blue one, uhm, the pink one, or the gold one, okay, all of them, haha. Oooh I was just reading about how Teflon causes cancer, yun pala ang kailangan ko tingnan na label...Zero PFOA! Wow, this couldn't have come at a better timing. I just broke my Snapware glass tumbler and now looking for a replacement! Will check out these tumblers now. I love Lock and Lock items because they're super reliable talaga. The brand is the best when it comes to alternative camping gears because they really lock in tight. I assume their tumblers would be super spill proof too. yes, it is super spill proof sis! I always bring water wherever I go and this lock n lock seems worth a try. I love their colors too! Thank you for sharing! Lock and lock is already a trusted brand for plastic containers! I love the pink tumblr/bottle though! 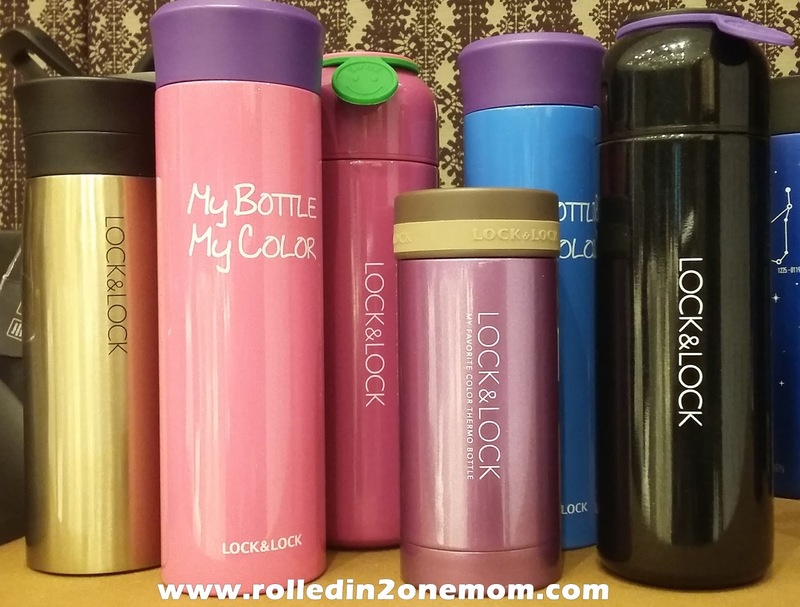 Wow those Lock & Lock tumblers look kind of Japanese now! I love the tumbler! Iba talaga pag lock n lock. The new Lock and Lock collection is so cute!